These Digital Pocket Scales are highly accurate measuring from to within 0.1g-500g and ideal for weighing adult beetles and larvae. 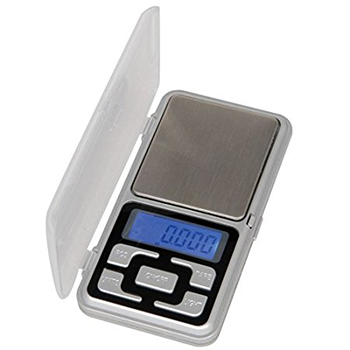 Easy to carry around and they fit perfectly into your pocket, the mini scales can measure in grams and ounces and have a handy tare function. These scales are particularly useful for checking progress of larva weight gain. We suggest keeping a record of weight against age.